Knee pain is the most common medical conditions you experience due to the regular weakness of bone structure. Read below to know some powerful home remedies for getting rid of knee joint pain. Before you try to treat your pain with home remedies, you should be careful. Seek medical attention for mild to severe pain affected by injury. Some types of knee pain can need surgery or other interventions to fix that pain. Surgery may be suggested in extreme cases of arthritis. Consult a doctor if you experience new knee pain after surgery. There are knee doctor Dallas they provide better treatment to reduce your pain without any effects that occurred in the future. When your effects with knee pain try soaking in a steaming shower or bathtub, sipping a cup of hot tea, or cozying up in warm clothes can make you feel comforted and soothed. There's a reason you reach for heat when you require relief from pain or stress: Heat is relaxing, Stiff, tense, and sore muscles can be relaxed and released with a little heat, and joints affected by arthritis pain are no different. Not only does heat relax muscles, but it also stimulates blood flow and increases circulation, helps increases range of motion, and reduces stiffness in painful joints. Even applying an ice pack or even a bag of frozen vegetables can help to dead areas affected by joint pain. Cold therapy can overcome inflammation, a major cause of arthritis joint pain and stiffness. Placing a cold pack on a swollen joint can also help bring it back down to size, which will also reduce joint pain. Consuming seeds, rich in calcium can improve your knee pains. These will include walnuts, flaxseeds, and sesame seeds. Amla is also useful for joints and bone health. Use this all the seed in your everyday food diet to relieve pain as soon as possible. You can also apply giloy paste on an area where you are getting joint pain. Giloy Stems can also chew as is or powdered and combined with lukewarm water. You also get giloy tablets that you can order on online. You all know that turmeric is antiseptic and has healing qualities. When teamed with hot milk, it acts on treating joint pains as well as abilities to the healing process. So, try this if you have severe pain. Most of the times people experience knee pain during winters in that situation you can apply methi which is soaked overnight and used to relieve pain. Tulsi or holy basil recognized as an antispasmodic (muscle spasms) and anti-rheumatic (joint pains) agent. It can be applied externally to treat joint-related ailments. Tulsi also works in reducing joint pain and pain associated with arthritis. 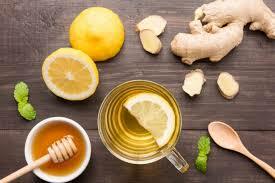 Ginger has anti-inflammatory qualities; hence the topical application of ginger oil, as well as drinking ginger tea daily, can also benefit. You can additionally have ginger along with milk for valid results. Citric acid that observed in the lemon is one of the best ways to reduce knee pain. Take two pieces of lemon and dip one-half in the sesame oil and massage on the area for about 10 minutes. Repeat this method every day to reduce pain. 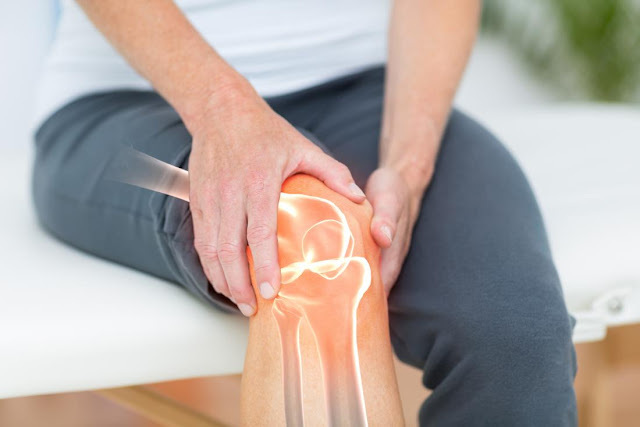 If pains are not reduced with these remedies, you can take the suggestion to treat the best treatment, or you can prefer orthopedic who provides you the best surgery of any knee pain. Thanks for shared this informative article with us. I also suffering from my back pain and I am consult with Back Pain Dr in New Jersey.